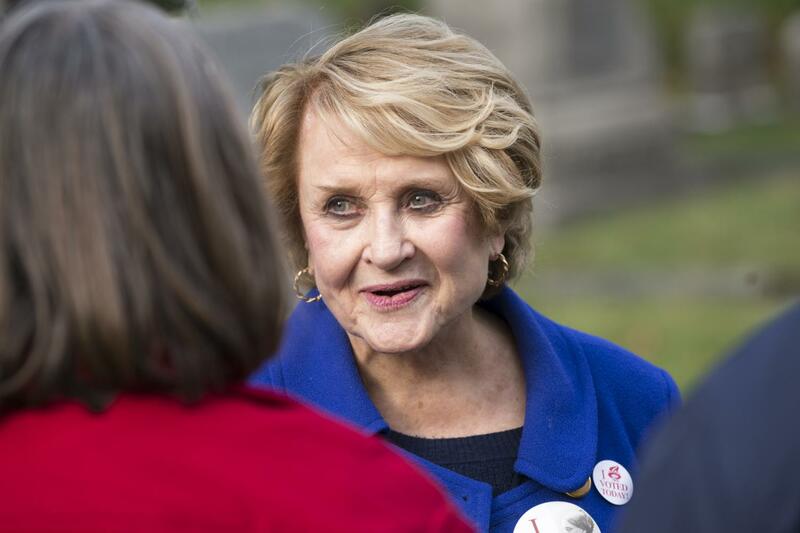 On a wintry Washington Friday, after a lifetime of public service and in the midst of her 16th term on the House Rules Committee, Rep. Dorothy Louise McIntosh Slaughter passed away at age 88 at George Washington University Hospital. At the time of her death, Slaughter was the oldest sitting member of congress. Slaughter was born in Lynch, Ky. in 1929 to a blacksmith for a coal mine and a homemaker. She cited her younger sister Virginia’s death from pneumonia as her reason for pursuing degrees in microbiology and public health, before being drawn into politics. She did market research at Procter & Gamble in New York upon graduating from the University of Kentucky, where she began to foster the political identity that would shape the course of her life. "I liked to think of her as a Renaissance woman." As a member of the Democratic Party, she decided to run for the Monroe County Legislature and won on her third attempt. She then went on to represent the 130th District in the New York State Assembly and sat in the 185th and 196th New York State Legislatures, before moving on to Congress four years later. Her district was based in Rochester and included most of Monroe County. She served as the Chairwoman of the House Rules Committee for four years. After falling into the political minority in the House, she still remained its ranking senior member. Slaughter’s education played a pivotal role in the legislation she stood behind throughout her career as a political figure.In 1995, she first proposed what would eventually become the Genetic Information Nondiscrimination Act of 2008 — an act that banned discrimination by insurers and employers on the basis of a person’s genetic information. She lead the charge to enact a law that would curb the widespread use of antibiotics on healthy pigs, cattle and chickens to speed their growth. As Chairwoman of the House, she advanced President Obama’s Affordable Care Act. Deborah Stendardi, vice president of government and community affairs at RIT and a long-time friend of Slaughter’s, fondly reminisced about who she referred to as "a force to be reckoned with.” Stendardi had known Slaughter for about 40 years. “She loved RIT, she loved interacting with students and she was a pervasive influence at the institute,” Stendardi recalled. In 2001, the Center for Integrated Manufacturing Study was officially named after her; we know it now as Louise Slaughter Hall. When asked about Slaughter’s greatest achievements, Stendardi didn’t know where to begin. “She cut across so many worlds. Whether it was her unwavering persistence to pass the Violence Against Women Act (VAWA), the complete revamping of the Rochester train station (which was recently announced to be named after her) [or] her stand against antibiotic resistance. I liked to think of her as a Renaissance woman. She was even a wonderful singer,” said Stendardi. Slaughter’s influence on RIT was as pervasive as her political clout as a congresswoman. She supported the sustainability institute and its efforts, as well as the industrial manufacturing school. She stood behind financial aid and federal initiatives to help students who couldn’t fully afford a university education. She was immensely proud of the fact that RIT was home to the National Technical Institute for the Deaf. She was “a woman before her time — a pioneer,” said Stendardi. Slaughter’s funeral service took place early on Friday, March 23, 2018. Former Secretary of State Hillary Clinton and House Democratic Leader Nancy Pelosi were among the dignitaries present to pay their respects and speak at the service at Eastman Theater in Rochester. The ornate Kodak Hall was filled with supporters and admirers of the congresswoman. The program was a moving remembrance of Louise Slaughter, her achievements and the enduring legacy she left behind. The congresswoman is survived by her three daughters — Megan Secatore, Amy Slaughter and Emily Robin Minerva — seven grandchildren — Lauren and Daniel Secatore, Emma and Jackson Clark and Mason, Linus and Ione Minerva — and one great-grandchild, Henry Secatore.